I attended the Fourth Annual 2013 Wine and Fire event in the Sta. Rita Hills sponsored by the Sta. Rita Hills Winegrowers Alliance (SRHWA). The SRHWA was organized in 1997 to unify wineries and growers in the Western Santa Ynez Valley and develop an American Viticultural Area. Spearheaded by Richard Sanford, Bryan Babcock, Rick Longoria, Wes Hagen, and other local wine personalities, the Alliance gathered the information necessary to submit an AVA petition in late 1997. The AVA designation was granted in 2001, and today, the Alliance includes 48 vineyard and winery members including wineries that source grapes from the Sta. Rita Hills AVA and local industry related businesses. The Sta. 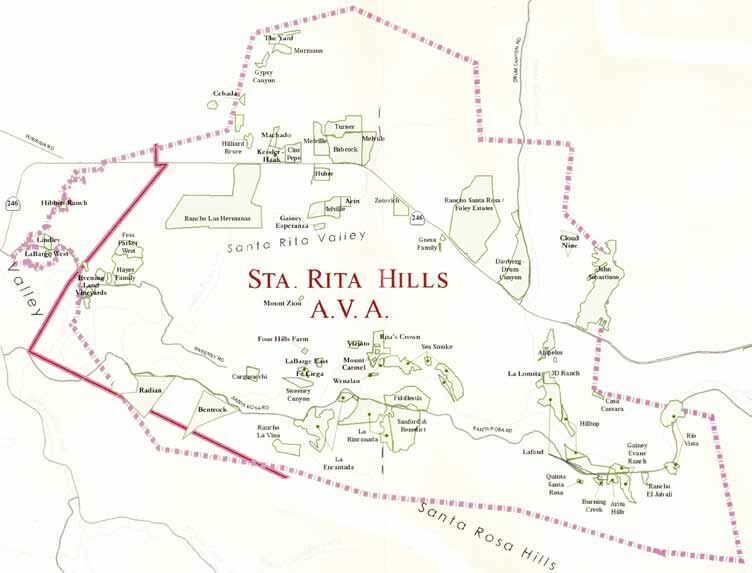 Rita Hills AVA is a western subdivision of the much larger Santa Ynez Valley AVA and occupies 30,720 acres. Originally named the Santa Rita Hills, local vintners were prevented from using that name by Vina Santa Rita, a 123-year-old winery in Santaigo, Chile, and the name Sta. Rita Hills was adopted in 2005. Sta. Rita Hills is pronounced the same as Santa Rita Hills. The Sta. Rita Hills AVA is one of the few wine regions along the California Coast where the mountains run east-west instead of north-south. Due to tectonic plate movements, mountains originally rose out of the ocean in a north-south orientation along the California Coast. Over a time span of twelve million years, mountains in the Sta. Rita Hills region broke from the plate and turned clockwise, creating the most clearly delineated transverse range from Alaska to Chile on the Pacific Coast. The result is a maritime alley that allows cooling Pacific Ocean winds to flow inland. When it is hot in Santa Ynez which is ten miles to the East, it is ten degrees cooler in the western Sta. Rita Hills. Fog hovers over the vines until mid morning, daily ocean breezes cool the vines, and the temperature barely rises above 75 degrees in the western reaches of the AVA. There are two soils types in the Sta. Rita Hills. The soils along Santa Rosa Road are diatomaceous (soft, siliceous sedimentary rock), clay and shale, while the soils along Highway 246 are sand with deposits of diatomaceous earth. In both corridors, the maritime influence combined with the calcareous soils make this AVA ideal suited for growing Pinot Noir and Chardonnay. The growing season is among the longest in California (March through October). The region has a long history of winegrowing. In 1787, the Mission grape was planted by Franciscans as they established La Purisma Conceptción at the western edge of the AVA. Vestiges of Mission grape plantings can be seen at Gypsy Canyon where gnarled vines that are well over 100 years old remain productive. The first modern vineyard in the Sta. Rita Hills, Sanford & Benedict, was planted in 1974. By 1997 there were 14 vineyards totaling just over 500 acres, but the current total is more than 55 vineyards totaling about 2,800 acres. The vineyards, primarily planted to Pinot Noir and Chardonnay with smaller amounts of eighteen other wine grape varieties, are scattered about two east-west oriented valleys limited by Santa Rosa Hills on the South and the Purisima Hills on the North and centered along Santa Rosa Road (Santa Rosa Corridor) and Highway 246 (Santa Rita Hwy 246 corridor). Refer to the map of the Sta. Rita Hills AVA below for the location of vineyards. The Wine and Fire event featured a Friday night Barn Party at Sanford & Benedict Vineyard, the site of the first vineyard and winery in the Sta. Rita Hills. Saturday’s events began with a morning seminar at Hilliard Bruce Vineyard and Estate with lunch catered by The Hitching Post II. 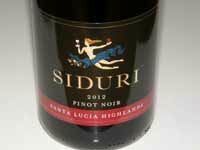 The Grand Tasting Saturday evening was held on the grounds of the historic La Purisima Mission, just outside of Lompoc featuring 25 SRHWA members pouring current releases of Pinot Noir, Chardonnay and other Sta. Rita Hills wines. The entire weekend also offered winery open houses, focused tastings and winery events. I plan to concentrate this report on the Saturday morning “Treasures of the Sta. Rita Hills” seminar hosted by Josh Raynolds of Stephen Tanzer’s International Wine Cellar. Thirteen Sta. Rita Hills producers presented a virtual tour of thirteen vineyards of the Sta. Rita Hills. The seminar was divided into a Chardonnay panel and a Pinot Noir (Clone 115) panel, and each discussion was split into vineyards of the Santa Rosa Corridor and those of the Santa Rita Hwy 246 corridor. The acid-driven Chardonnays from the Sta. Rita Hills are more steely, mineral-infused, crisper and brighter than many California Chardonnays. They are more akin to French white burgundies, but with riper and richer fruit and more alcohol. The high acidity keeps the typically elevated alcohols in balance and the balance makes these good food wines. Acidity was a major topic of discussion at the seminar. Malolactic fermentation, a secondary fermentation in which harsher malic acid is converted to softer lactic acid, is the major contributor to the creamy mouthfeel many consumers prefer in Chardonnay. If a Chardonnay is not put through complete malolactic fermentation, the residual malic acid sticks out, leaving the wine with an angular malic bite, but preserving more fruit character, offering less secondary buttery characters, and more age ability. Malolactic fermentation is performed by Lactobacillus bacteria. If a Chardonnay is not put through full malolactic fermentation either by inoculation or natural means, one of two procedures must be done to insure that the wine does not undergo malolactic fermentation and/or other spoilage in the bottle: adding the preservative dimethyldicarbonate (Velcorin) or sterile filtration. How do you tell if a Chardonnay has undergone no malolactic fermentation, partial malolactic fermentation or 100% malolactic fermentation? The best clue is the word “unfiltered” on the label, which indicates the wine has probably undergone full malolactic fermentation. The plantings of Chardonnay in the Sta. Rita Hills include both heritage (Hyde, Wente, Mount Eden) and Dijon (75, 76) clones. Most of the plantings are less than fifteen years old, while the oldest Chardonnay vines at Sanford & Benedict Vineyard and Sweeney Canyon Vineyard go back over thirty years. 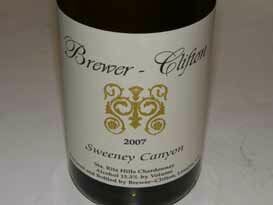 Sweeney Canyon Vineyard Represented by Steve Clifton of Brewer-Clifton Winery: 2010 Brewer-Clifton Sweeney Canyon Sta. Rita Hills Chardonnay, 15.2% alc., $40. 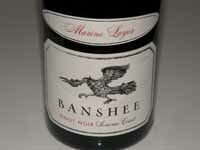 The Marks family still own and farm this 18.5-acre Chardonnay and Pinot Noir vineyard that was first planted in 1980. Three generations of the Marks family have worked Sweeney Canyon Vineyard. The property is located along the Santa Ynez River channel to the west of Mount Carmel Vineyard and immediately to the east of Cargasacchi Vineyard. The original Chardonnay plantings are own-rooted Wente clone and the vines are dry farmed. 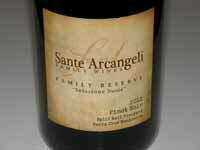 Wines from this vineyard tend to be rich and complex and age extremely well. Golden yellow color and clear in the glass. Aromas of lemon, lime, white stone fruits, spice and roasted nuts. Rich, concentrated flavors of grilled yellow peach, lemon and burnt caramel with a viscous texture and excellent background acidity. This wine is true to the Brewer-Clifton house style of 100% malolactic fermented, oak aged Chardonnay. 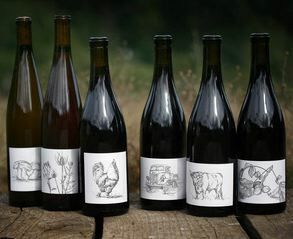 Note: Sweeney Canyon Vineyard also produces Chardonnay (both barrel fermented and unoaked bottlings) and Pinot Noir under its own label, vinified by Kristi Marks. 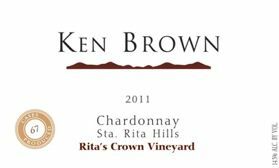 Rita’s Crown Vineyard Represented by Ken Brown of Ken Brown Wines: 2011 Ken Brown Rita’s Crown Vineyard Sta. Rita Hills Chardonnay, 14.3% alc., pH 3.37, TA 0.64, 67 cases, $42. Rita’s Crown Vineyard was planted in 2007 and is one of the newest vineyards in the Sta. Rita Hills AVA. The property is located at an elevation of 600 to 950 feet on a dramatic southwest facing slope at the “crown” of the Santa Rita Hills. Sitting above Sea Smoke, La Rinconada, Sanford & Benedict and Fiddlestix, it is one of the highest planted vineyards in the AVA, and the elevation makes this site particularly vulnerable to coastal fog and cool marine winds from the nearby Pacific Ocean. The soils are sandy loam with ancient seashell deposits, contributing to the hallmark minerality in the wines. The block used for this Chardonnay is planted to Dijon clone 76 on 101-14 rootstock. 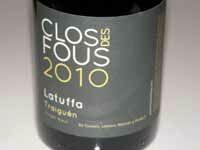 The wine was 100% barrel fermented with 70% malolactic fermentation, aged 11 months sur lie in 17% new French oak barrels. This wine is the inaugural bottling from this vineyard. Ken Brown is one of Santa Barbara County’s most veteran winemakers, with a history dating back to 1977. Light golden yellow color and clear in the glass. Nicely perfumed with aromas of lemon tart, white peach, almond skins, and sea brine. Delicious and creamy on the palate, with flavors of lemon curd, peach cobbler, tropical fruits and complimentary oak highlights. 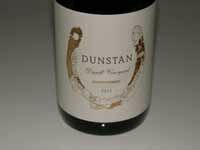 An outstanding, very classy and well-crafted wine that is quintessential Sta. Rita Hills Chardonnay. 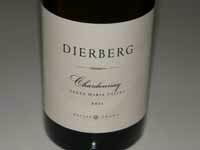 Note: Ken almost offers a superb Chardonnay from the Nielson Vineyard, planted in 1964 by pioneer Uriel Nielson, making it Santa Barbara County’s oldest vineyard. This property has been replanted using cuttings from the original vines which included the Wente clone. Only 138 cases produced in 2011. 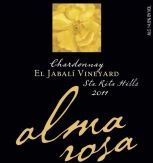 Rancho El Jabali Vineyard Represented by Richard Sanford of Alma Rosa Winery: 2011 Alma Rosa El Jabali Vineyard Sta. Rita Hills Chardonnay, 14.74% alc., pH 3.36, TA 0.62, 190 cases, $28. Rancho El Jabali (Ranch of the Wild Boar) is owned by the Sanford family and is located in the southeastern corner of the original 1839 Mexican Land Grant known as Rancho Santa Rosa. The site has been the Sanford’s home since 1982. The 7-acre vineyard was planted in 1983 to 3.5 acres of Pinot Noir (Mount Eden clone) and 3.5 acres of Chardonnay (Wente clone). The well-drained gravelly clay loam soils are primarily Pleistocene river terrace marine deposits. Medium golden yellow color and clear in the glass. Aromas of lemongrass, ripe apple and oak vanillin lead to pleasing flavors of an array of citrus fruits blessed with supportive oak notes. Clean, pure and slightly creamy, the wine is driven by well-integrated lively acidity. A beautiful reflection of Sta. Rita Hills terroir at a very reasonable price. 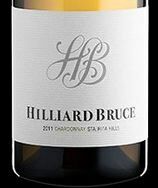 Hilliard Bruce Vineyard Represented by Christine Bruce of Hilliard Bruce: 2010 Hilliard Bruce Estate Sta. Rita Hills Chardonnay, $45. Hilliard Bruce is a spectacular property consisting of a 21-acre vineyard planted to 15.7 acres of Pinot Noir (Calera, Pommard, 115, 667, 777) and 5.3 acres of Chardonnay (Dijon clones 76 and 96). The SIP Certified Sustainable planting density is 6’ x 3’ with 2420 vines per acre. All irrigation water is pretreated to reduce alkaline biocarbonates, heavy metals and excess nutrients. The water status of the vines is monitored with Fruition Sciences sensors installed inside the trunks of several vines which, along with the weather station located in the vineyard, are connected to the internet. Compost is made on site by static aeration in a compost building designed by O2 Compost and the University of Washington. You would hard pressed to find another vineyard in the world that is so impeccably farmed with perfectly trellised vines and precise watering mechanisms as the Hilliard Bruce Vineyard. The owners, John Hilliard and Christine Bruce are former artists (in visual art and music, respectively) and master gardeners and the property shows it. The 101-acre ranch was purchased in 2002. Christine, a successful Arabian horse breeder, and John, who had just undergone a second kidney transplant, had been looking to relocate their farm from their native Texas to California. Christine needed a place she could raise her horses, and John, a wine lover, was determined to pursue his dream of cultivating a vineyard. The vineyard was planted under the guidance of Tom Prentice. The vines are surrounded by 80 acres of native oaks, rambling botanical gardens featuring exotic palm and date trees, espaliered apple trees, and beds upon beds of vegetables, tubers, lettuces and herbs. Over 500 varieties of roses are found throughout the ranch. Two full-time landscape workers and two full-time vineyard workers insure the property is meticulously maintained. John and Christine have learned winemaking through courses at the University of California Davis Extension Program and the Allan Hancock Viticulture and Enology Program, and have had two consulting winemakers, Peter Work and Paul Lato. By harvest 2014, all Hilliard Bruce wines will be produced in a new LEED-certified winery on site. An underground cellar will be humidity controlled, the barrel room will have temperature-controlled sections, and the contemporary structure will featuring 120-foot-wide by 2.5-story-tall glass windows creating a soft glow on the hillside at night. The completed winery will feature a demonstration kitchen and dining room and a tasting area. Tours and tastings are currently available by appointment only and are often guided by John and Christine. To set up a visit, call 305-979-2601 or consult www.hilliardbruce.com for more information. The single estate Chardonnay is kept on its lees for 16 months in 30% new French oak barrels before being racked into a tank for cold stabilization before bottling. Moderately light golden yellow color and clear in the glass. 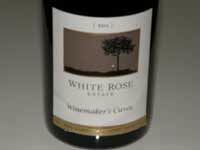 This wine offers a compatible marriage of lemon, peach, baked pear, spice and oak aromas and flavors. There is an appealing acid-driven crispness and salinity as well. Very high quality stuff. Rancho Santa Rosa Vineyard Represented by Leslie Mead Renaud, winemaker for Foley Winery: 2011 Foley T Anchor Ranch Rancho Santa Rosa Vineyard Sta. Rita Hills Chardonnay, 14.7% alc., pH 3.19, TA 0.75, 390 cases, $45. Rancho Santa Rosa is an historic property that formerly was a thoroughbred horse ranch. Bill Foley established 230 acres of vineyards on the 460-acre property which is subdivided into 59 micro blocks that are farmed, harvested and vinified separately. 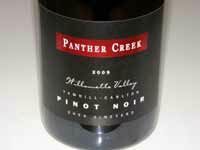 Pinot Noir was established on the south facing, highest reaches of the ranch with elevations to 1000 feet, while Chardonnay (clones 76, 96, and Wente) was planted on the rolling hills surrounding the winery. 8 acres of Syrah are planted on the western corridor. 2002 marked the inaugural release from this vineyard. This particular Chardonnay is from a noteworthy site within the Rancho Santa Rosa Vineyard. It was aged 18 months in 40% new French oak barrels. Moderately light yellow color and clear in the glass. The nose is flush with aromas of lemon peel, spice and a hint of toasty oak. On the palate, the wine is crisp and juicy with satisfying flavors of lemon and white peach with beautifully integrated oak highlights. The underlying cut of acidity leads to a steely, refreshing, and palate cleansing finish. Outstanding. 3-D Vineyard Represented by Antonio Moretti of Moretti Wines: 2011 Moretti 3-D Vineyard Sta. Rita Hills Chardonnay. 3-D Vineyard is owned by Tom and Jan Davidson and farmed by Brewer-Clifton. 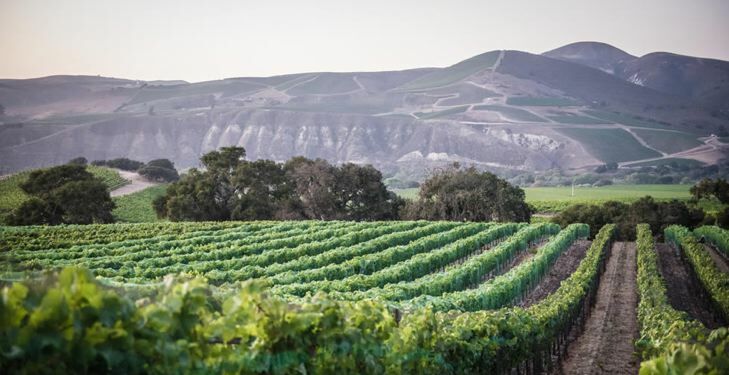 Situated between Lafond and Ampelos vineyards, this 10-acre vineyard is planted to equal amounts of Wente 4, Hyde, Mount Eden, Sea Smoke Wente and Dijon 76 clones of Chardonnay. Moretti Wines owners Antonio and Jeni Moretti have over 35 years of wine business experience between them. Steve Clifton is the winemaker. 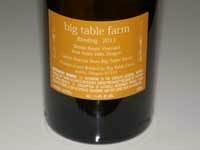 This wine underwent 30% malolactic fermentation with no new oak elevage. Moderate golden yellow color and clear in the glass. Ripe fruit nose featuring aromas of tropical fruits, grilled lemons and butter. Rich, fat and fruity with some tannic astringency, a bite of acidity and a little heat on the finish. Note: Brewer-Clifton also produces a 3-D Vineyard Chardonnay. Other Sta. 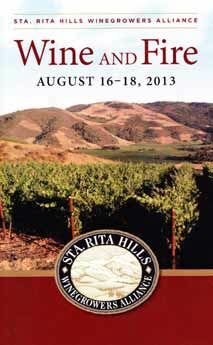 Rita Hills Chardonnay producers I can recommend: Sea Smoke, Clos Pepe, Melville, Longoria and Seagrape Wine Company. All wines were 2012 barrel samples (a poor choice in my opinion as the wines were very young and challenging to evaluate). Each wine was 100% clone 115 and 100% de-stemmed except the Siduri which was 15% whole cluster. 2012 was a high quality, more forward vintage. Dijon Pinot Noir clones have been planted widely for over thirty years in California and Oregon with clone 115 being the most extensively planted Dijon clone. 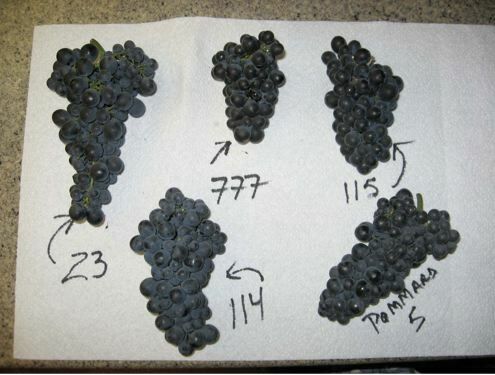 115 produces small, tight clusters like little hand grenades, regular yields, strong purple color, high anthocyanin, high pH, notable tannins, and a varietally consistent aromatic profile of black cherries, leather and roses, and compelling flavors of cherries, blueberries, boysenberries and anise. Clone 115 is one of the few (777 the other) Dijon clones that makes an excellent and complete wine on its own and is valued for its balance, aromatic profile and its ability to be a consistent producer in various locations. Reportedly, wines made in France at the Lycée Viticole from clone 115 have placed at or near the top of their evaluations until clone 943 came along. Cargassachi Vineyard Represented by Brandon Sparks-Gillis of Dragonette Cellars: 2012 Dragonette Cellars Cargassachi Vineyard Sta. Rita Hills Pinot Noir. Cargassachi Vineyard is located off Sweeney Road at the far western edge of the Sta. Rita Hills AVA. The 12 acres are planted to clone 115 on two different rootstocks: 3309C and 420A. Soil type is Botella Series, a combination of clay and loam with a fairly high calcareous content which drains well and helps to moderate yields. Medium reddish-purple color in the glass. 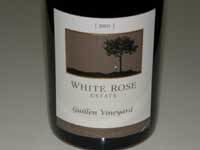 The nose is savory with notes of dark red berries and briar. Middleweight flavors of blueberries and black raspberries with a savory herb underpinning. Still tight, but the underlying acidity and pleasing finesse are quite evident. Rancho La Viña Vineyard Represented by Kris Curran of D’Alfonso Curran: 2012 D’Alfonso Curran Rancho La Viña Sta. Rita Hills Pinot Noir. Rancho La Viña is a family owned and operated ranch that is a 2,800-acre remnant of the Santa Rosa Land Grant purchased in the 1860s. The owners also grow walnuts and tomatoes on the property. The vineyard is at the far western edge of the Sta. Rita Hills AVA. 17.2 acres were planted in 2005 on a gently sloped mesa that is several hundred feet above the valley floor. The site is fully exposed to the cool winds coming off the Pacific Ocean making it one of the coldest Pinot Noir plantings in California. The windy location along with low fertility soils result in deep, dark and intense flavors. Clones are 115, 667, 777 and 2A grafted on 101-14 and 110R rootstocks. Vine spacing is 7’ x 4’ for a planting density of 1,556 vines per acre. The first year of production was 2007. This wine was aged in neutral barrels and underwent partial malolactic fermentation. Medium reddish-purple color in the glass. Enticing aromas of boysenberries and spice which are duplicated on the palate. Fruit forward and soft in the mouth with a wow finish. Outstanding potential. Everyone’s favorite at this tasting. Rancho La Rinconada Vineyard Represented by Steve Fennell of Sanford Winery: 2012 Sanford La Rincanada Vineyard St. Rita Hills Pinot Noir. Sanford Winery’s 438-acre ranch has 146 acres under vine, primarily Pinot Noir (60 acres) and Chardonnay (70 acres). The La Rincondada Vineyard sits on a well-drained, west facing hillside with 9%-15% slopes. The soil type is Santa Lucia shaley clay loam. Heavy Pacific fog regularly pools in this valley vineyard. A tasting room on the property offers 360-degree views of the vineyard. Moderate reddish-purple color in the glass. Hard to evaluate this wine because it was recently sulfured and sulfur permeated the nose and palate. Rio Vista Vineyard Represented by Norm Yost of Flying Goat Cellars: 2012 Flying Goat Cellars Rio Vista Vineyard Sta. Rita Hills Pinot Noir. Rio Vista Vineyard is the eastern most vineyard planted entirely within the Sta. Rita Hills AVA. Because of its location, it is also the warmest site. The property was planted and is meticulously farmed by John Belfry of Buona Terra Farming. There are three different vineyards making up Rio Vista. Rio Vista Vineyards North and South (located east of Santa Rosa Road) were planted in 2000 and the third vineyard (located west of Santa Rosa Road) was planted in 2006. The dominant soil series is limestone, sedimentary with a marine layer of sandy loam. Flying Goat sources clones 2A, 115, 667 and 777 and produces three clonal-designate wines including clone 2A, clone 667 and a Dijon clone blend. Moderately light reddish-purple color in the glass. 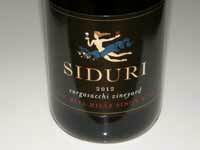 Aroma of slightly confected cherries with lighter weight flavors of red cherries, red berries and spice. Bright and vivid, finishing with burst of Maraschino cherry goodness. Represented by Kimberly Smith of La Montagne: 2012 La Montagne Kessler-Haak Vineyard Sta. Rita Hills Pinot Noir. Kessler-Haak Vineyard is located in the northwestern section of the Sta. Rita Hills AVA and is one of the colder microclimates in the region with frost being a frequent visitor in the spring and occasionally in the fall before harvest. 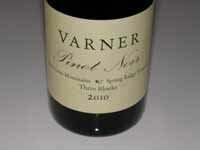 The vineyard was planted in 2005 to seven Pinot Noir clones on three rootstocks amongst 27 acres of the vineyard’s rolling hillsides. 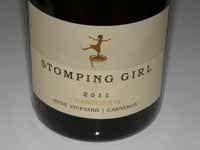 A 2.5-acre east facing hillside was planted to three clones of Chardonnay. Yields are very low, averaging 1.2 to 1.5 tons per acre for Pinot Noir and Chardonnay. La Montagne (“The Mountain”) produces very limited production wines under the direction of winemaker Kimberly Smith who was mentored by Clos Pepe’s Wes Hagen. Her first vintage was 2010. Moderately light reddish-purple color in the glass. Very young and primary but showing a peek of greatness with aromas and flavors of fresh, vivid red fruits wrapped in supportive grainy tannins. 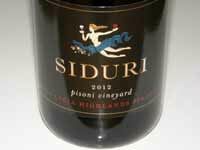 Clos Pepe Vineyard Represented by Adam Lee of Siduri Wines: 2012 Siduri Clos Pepe Vineyard Sta. Rita Hills Pinot Noir. Clos Pepe Vineyards dates to 1994 when Steve and Catherine Pepe bought a 40-acre horse ranch in the center of the current Sta. Rita Hills AVA. Guided by noted vineyard consultant, Jeff Newton of Coastal Vineyard Care, the first half of the vineyard was planted in 1996. Wes Hagen took over full winemaking and managerial duties in 1998, and designed and planted the last 14 acres. The site is blessed with wind, fog, low temperatures and sea bed soils that intensely limit vigor. Moderately dark reddish-purple color in the glass. 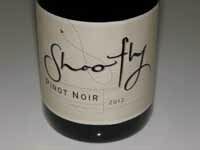 Shy aromas of berries and plum with rich flavors of well-ripened blueberries. The purity of the fruit shines through and a little earthiness adds interest. Exceptional, even extraordinary potential here. 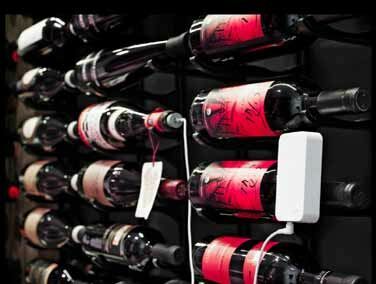 Sebastiano Vineyard Represented by Bill Wathen of Foxen: 2012 Foxen Sebastiano Vineyard Sta. Rita Hills Pinot Noir. Sebastiano Vineyard lies at the eastern edge of the Sta. 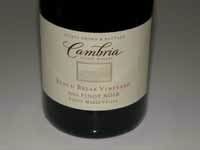 Rita Hills AVA and is not wholly contained within the AVA. 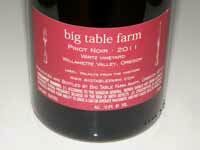 It is composed of 41 blocks and nine Pinot Noir clones totaling 91 acres within the Sta. Rita Hills AVA. The 60 acres outside the AVA border are planted to Syrah, Grenache, Chardonnay and other wine grape varieties. Established in 2008, Sebastiano Vineyard is managed by Coastal Vineyard Care. Medium reddish-purple color in the glass. Hard to evaluate this wine due to an overlay of sulfur on the nose and palate. 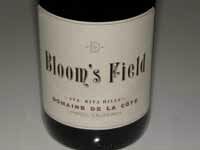 The core features red fruits with a zippy, acid-driven finish. Other wineries producing wine from Sta. 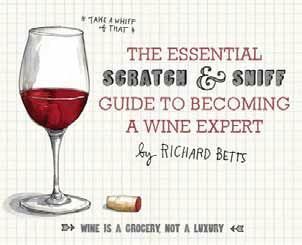 Rita Hills vineyards that are worth consideration include Ampelos Cellars, Arcadian, Babcock Winery, Bonaccorsi, Domaine de la Côte, Inception, Lutum, Melville Vineyards & Winery, Paul Lato, Rusack Vineyards, Samsara, Sandhi Wines, Tensley, and Westerly Wines. The wines from Bailiwick in 2011 are all well-crafted, but overall lack the extraction, intensity and excitement of the previous vintage. I believe they will pick up more weight and interest with another year or two in bottle. Winemaker Paul Vais told me they have been able to significantly lower their prices in this vintage due to an increase in production efficiencies. 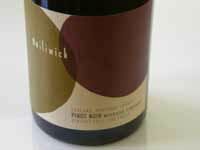 Visit www.bailiwickwines.com. 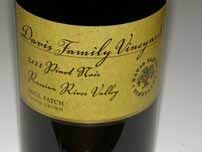 The four 2011 Davis Family Vineyards Pinot Noirs were released at the beginning of October (including the Russian River Valley bottling which is not reviewed here). The wines took Gold Medals at the prestigious 2013 Sonoma County Harvest Wine Competition. After a 5-7 day cold soak, gentle punch downs were done over a 3-4 week fermentation in small, temperature controlled, open-top fermenters. All wines were fermented with native yeast and spent 14 months in tight grain selections of French oak of which 30% were new, 30% were 1- year-old and 30% were 2-year old. Most of the wine has been allocated to wine club members (who receive discounts and free shipping on the first six bottles), but you may still snag a bottle or two by contacting Annie Rambo at the winery (707-569-0171) or visiting www.daviswines.com. 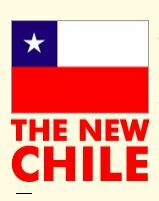 Chile is well known for its inexpensive red wine imports to the United States including blended reds and single varietal wines of Carmenère, Cabernet Sauvignon, Merlot, Syrah, Sauvignon Blanc, Riesling and Chardonnay. Less well known is the small cadre of Pinot Noir producers located in the Bio Bio, Casablanca, Calchagua, Leyda and San Antonio Valleys focusing on small production, quality-driven Pinot Noir. 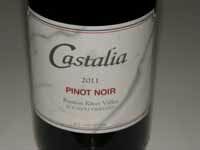 Chile followed the historical progression of California in that early plantings of Pinot Noir were located in the wrong places such as the Casablanca Valley floor which is quite warm. Vintners eventually discovered the best cool climate sites near the Pacific Ocean, similar to California’s Sonoma Coast. A number of producers have recruited consulting winemakers from the United States and France. Some well-known Chilean Pinot Noir producers include Cono Sur, Kingston Family Vineyards, Matetic Vineyards, Veramonte and Veranda Winery. 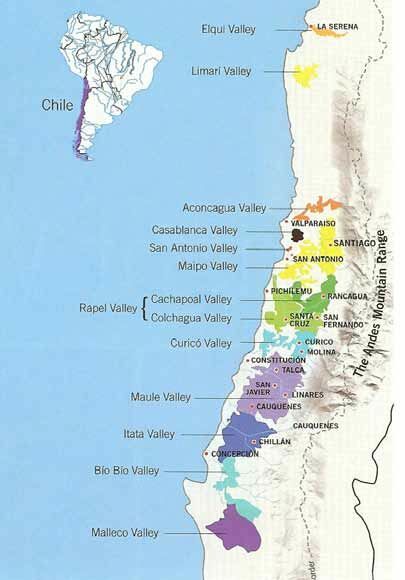 Chilean wine regions are organized by valleys as shown in the map below. 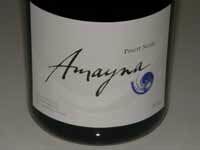 Damon Levy of Vine Connections, a leading importer of Argentine and Chilean wine, recently sent me four Chilean wines that are part of the new breed of cool-climate Pinot Noir from true coastal vineyards in Chile. I found two of the wines very enjoyable. All the wines showed a significant oak imprint which may or may not be to your taste. The wines are reasonably priced. Visit www.vineconnections.com for more information and availability. 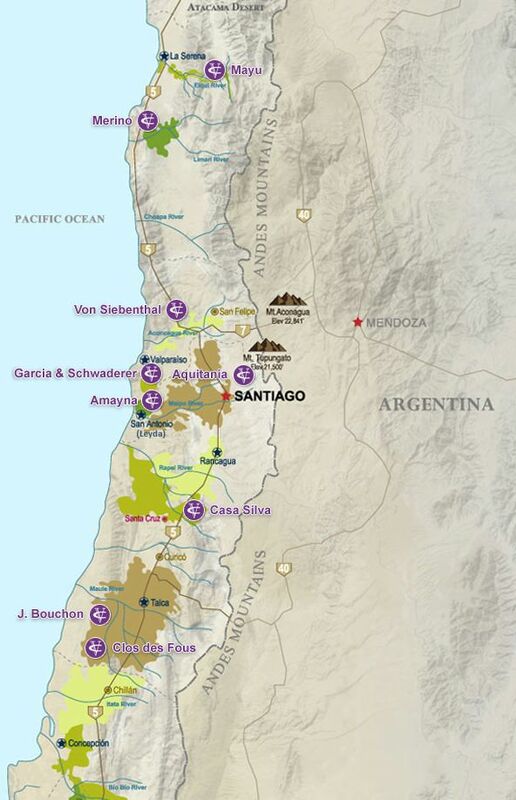 The map below shows the location in Chile of the wines reviewed.